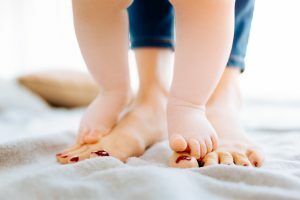 Toe Jam: What is it and How to get rid of it? Just reading those two words often makes people uncomfortable and a little queasy. This common non-medical term is often used to describe the ‘gunk’ that accumulates between the toes. Toe jam deserves its due attention, though, as it could be an indication of more serious medical problems or hygiene issues that need to be corrected immediately. Toe jam is actually just a common term for several different things that could be occupying the little gaps between your toes. Some of these things are non-threatening, like sock lint. Others can be more medically dangerous, like an infection or scabies. Most of the things bothering your feet that make up toe jam are dead skin cells, sweat, body oils, fungus and bacteria. Things on the more serious end of the toe jam spectrum, like a fungal or bacterial infection, may require more serious medical attention and immediate hygiene changes before they are able to spread. Another serious issue would be scabies, a highly contagious infection caused by mites. While scabies does not directly contribute to toe jam, it shares the same root cause—poor hygiene. So, if you have toe jam, there’s an increased chance that you could also have scabies. How Do You Get Toe Jam? What Causes it? Some people are more prone to toe jam than others due to their lifestyle or footwear choices. People who sweat regularly, spend a lot of time on their feet, or use footwear with poor circulation are more at risk because their feet are damp and warm more often—prime conditions for toe jam. Skin conditions like eczema or psoriasis increase your risk for toe jam as well because dry skin cells accumulate between the toes and provide a breeding ground for fungus and bacteria. How to Prevent or Get Rid of Toe Jam? The simplest way to both prevent and get rid of toe jam is good, proper hygiene. Make sure to clean between your toes every time you shower and wear breathable shoes if possible. If you have calluses, corns, or other spots on your feet that may contribute to dead skin cells accumulating between your toes, smooth them out with a pumice stone. It is also important to keep your feet dry. Use foot powder if necessary and make sure to use fresh, dry socks each day. When you get out of the shower, make sure to dry your feet completely before putting shoes back on. If you do a significant amount of walking or standing throughout the day—especially in damp conditions—then you should be checking, cleaning, and drying off your feet every single night! If you are walking all day in extremely wet or hot conditions such as a rainy climate or desert environment, consider changing your socks once or twice during the day as well. Lastly, if you think you have an infection, book an appointment with Dr. Ken Dennis to get it treated. This is possibly the most important reason to inspect and clean your feet every day since your foot is prime real estate for nasty things to grow. If left unchecked or unnoticed, an infection can spread from your feet to other parts of the body. Call us or book online now!